Annual report states that the level of religious repression and governmental control over monasteries has remained high. According to the report, "the level of religious repression in the Tibet Autonomous Region (TAR) and other Tibetan areas remained high. Government control over religious practice and the day to-day management of monasteries and other religious institutions continued to be extraordinarily tight since the spring 2008 outbreak of widespread protests and unrest in Tibetan regions." "These restrictions included forcing monks and nuns to undergo extensive "patriotic education" in monasteries and nunneries that included significant amounts of "legal education" which detracted from religious studies. In patriotic education sessions, authorities often forced monks and nuns to denounce the Dalai Lama and to study materials praising the leadership of the Chinese Communist Party (CCP) and the socialist system. Monks and nuns fled from their monasteries and nunneries because they faced expulsion for refusing to comply with the education sessions. Overall numbers of monks and nuns in monasteries and nunneries remained at significantly lower levels than pre-March 2008," it said. The report criticised the Chinese government for using rules and regulations to control Tibetan religious traditions. "Rules and regulations provided a legal basis for government control over Tibetan religious traditions. The Management Measures on Reincarnation, issued by the State Administration for Religious Affairs, codified government control over the selection of Tibetan religious leaders, including reincarnate lamas," it said. 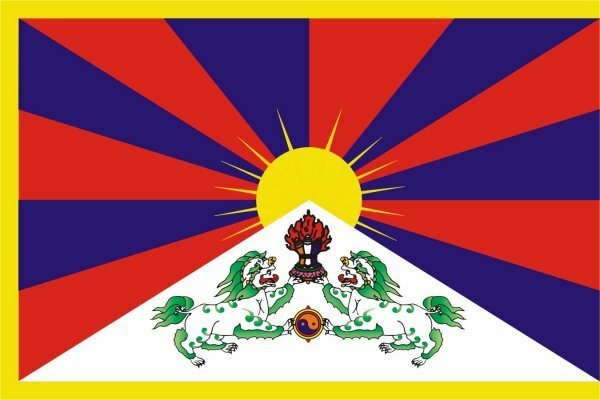 The report said as of 1 September 2010, the Congressional Executive Commission on China’s Political Prisoner Database records 824 Tibetan political or religious prisoners believed to be currently detained or imprisoned. Of those 824 Tibetans, 479 (approximately 58 percent) are Tibetan Buddhist "religious professionals" (monks, nuns, and tulkus). imposed after March 2008, the report said. According to numerous sources, many of those detained were subjected to extrajudicial punishments, such as beatings and deprivation of food, water, and sleep for long periods. In some cases detainees reportedly suffered broken bones and other serious injuries at the hands of People's Armed Police (PAP) and Public Security Bureau (PSB) officers. "...Every year, the State Department prepares a comprehensive review of the status of religious freedom in countries and territories around the world. We do this because we believe that religious freedom is both a fundamental human right and an essential element to any stable, peaceful, thriving society," Secretary Hillary Clinton said in her opening remarks during the release of the report. "This is not only the American view; it is the view of nations and people around the world. It is enshrined in the Universal Declaration of Human Rights, it is protected by the International Covenant on Civil and Political Rights, and it is guaranteed by the laws and constitutions of many nations, including our own," Clinton said.